Mature shade trees - big, broad-canopied shelters for backyard picnics and playhouses - are a priceless feature in the landscape. The best time to plant one was yesterday, but if you're in the market for one today, consider one of the top-performing varieties. 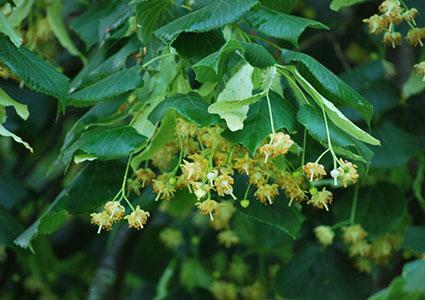 Though the flowers of a linden tree are inconspicuous, their fragrance is unforgettable. Growing at a moderate pace to 50 feet tall or more, they are known for their picturesque form. Lindens are very adaptable to environmental conditions and grow well throughout the country, except in the subtropical parts of California, Texas, Florida and Arizona. These neat and tidy trees thrive almost everywhere, except in the coldest parts of the country. Red, pink, white and purple varieties are all commonly available, but they all have characteristically smooth bark, that is either tan or reddish-brown. 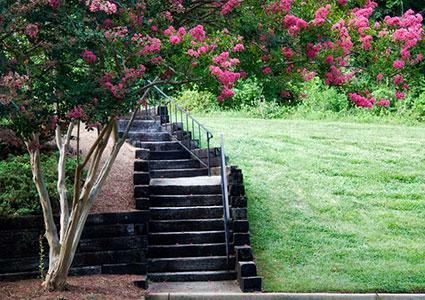 Growing up to about 30 feet tall, crepe myrtles are on the short end what is considered a shade tree, but their adaptability and impeccable resistance to pests and disease make them a worthy candidate, especially for smaller yards. Catalpas have luxurious foot-long drupes of fragrant purple-white flowers and enormous leaves that cast dense shade. 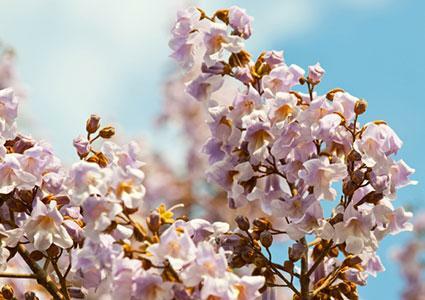 They are often used as street trees because of their resistance to heat, smog and compacted soils, meaning they will thrive in almost anyone's backyard. They are a great choice for the Midwest, in particular. These stately symbols of the south grow well anywhere that winters are mild. The white blossoms open in summer nearly to the size of dinner plates and fill the air with a heavenly fragrance. 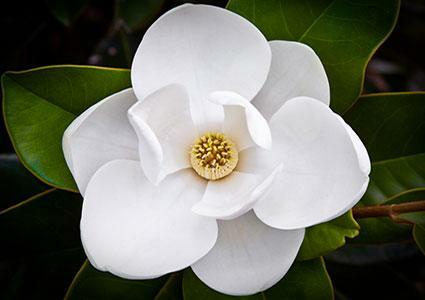 Southern magnolias are one of the few large evergreen shade trees available. These are the colorful icons of autumn in New England forests. Some grow them for their sugary sap, which is made into maple syrup, but they make a fine ornamental tree, as well. 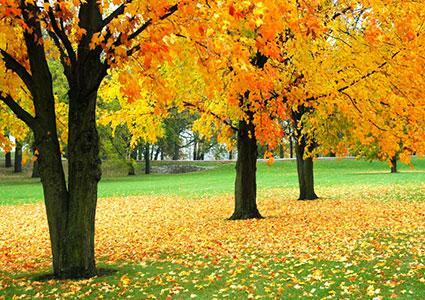 Often, every shade of red, orange and yellow can be seen on a single sugar maple tree at the same time. 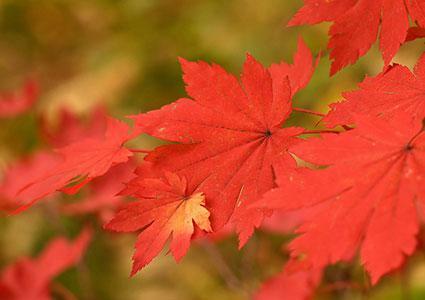 In warm climates, this is the best maple for fall foliage. Not only do the leaves turn brilliant red in fall, they emerge with a burgundy color in early spring. Red maples are excellent shade-makers, growing quickly to 50 feet tall and wide. Though they don't grow quickly, once mature there are few trees with such a stately appearance as the regal red oak. The foliage is spectacular in fall and the acorns are a boon to wildlife when they drop. 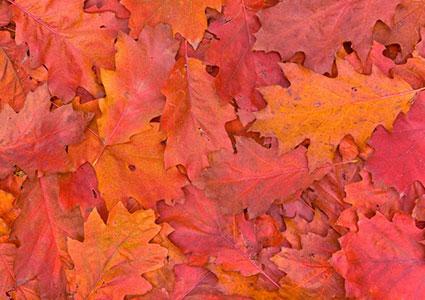 Red oaks are adapted to all but the warmest areas of the country, but their coloration is best in cold climates. 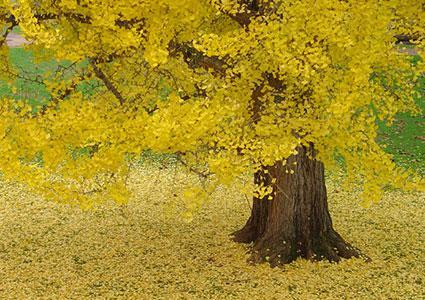 Ginkgoes turn golden yellow in autumn and the leaves retain their brilliant color long after they fall to the ground. The unusual fractal-like branching pattern is also striking after the leaves drop. They thrive virtually everywhere, though they grow very slowly at first - not the best variety for those in a hurry, but well worth the wait. 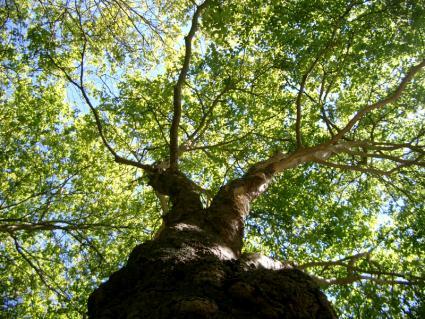 Closely related to the catalpa, but with even bigger leaves (up to a foot across), princess trees are known as the fastest-growing temperate climate trees in the world, reaching skywards at a rate of up to ten feet per year. 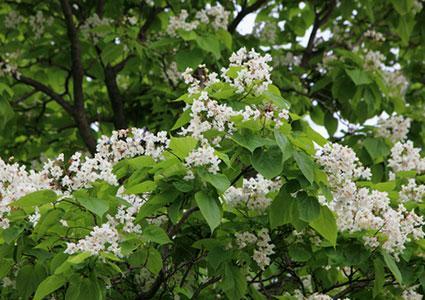 Their flowers resemble catalpa, but are held upright on the tips of the branches, rather than drooping. They grow well throughout the country, but they are considered invasive in parts of the Southeast. 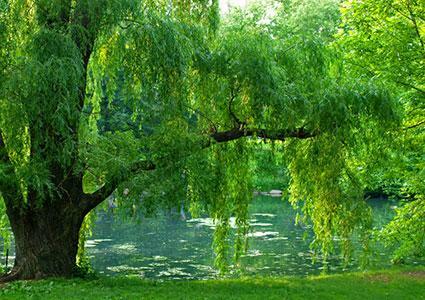 Also known as weeping willow, these giants are arguably one of the most graceful trees in the world. They are well-adapted to thrive throughout the United States, but they do require ample moisture. They are ideal next to a stream or pond where they can drink all they want and their pendulous branches can dangle in the water. 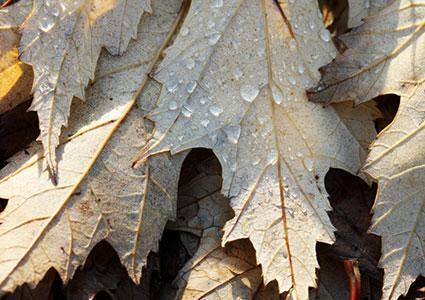 Silver maples like it hot and wet, but they are tough enough to grow almost anywhere. Known for the silvery undersides of their leaves that shimmer in the wind, they begin to provide shade in as little as five years after planting. Though their narrow, conical form is not the typical profile of a shade tree, redwoods are commonly planted in a small grove, a technique which can create a shady oasis in a just a few years. 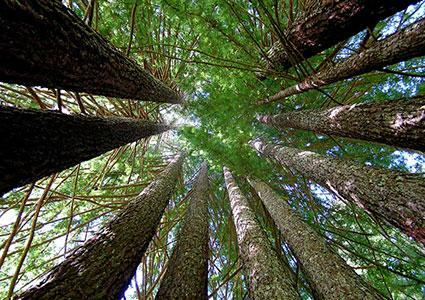 They are the world's tallest tree species, so be sure to site them where their eventual height will not be a problem. Prime redwood habitat is restricted to a narrow band along the West Coast. The beauty of a mature tree is that they largely care for themselves. To help get them there, give the entire root zone a deep soaking once per month in the summer and maintain a four- to six-inch layer of mulch to hold in the moisture. The mulch will slowly break down into rich fertile soil, but spreading a two-inch layer of compost around the tree each fall will give it a boost when growth begins again in spring.